Reviewing Polly Jean Harvey is like trying to critic Bob Dylan; the songwriting is so unspeakably detailed and beautiful, even on a bad song, it just boarders on the impossible. There is no doubt that this album will be applauded by every music critic out there, pontificating on how relevant the album's themes are, considering England, and the world, seems to be rather messed up right now. Despair not, having identified this, PJ Harvey has all manner of issues to raise, namely the waste of human life that was World War One. Like a war reporter dissecting the last century, this album covers our national identity and Englishness at a time when our government, economy and modern society itself, seem to be falling apart. The Mercury prize winning, Grammy nominated and all round unbelievably cool English singer/songwriter's eighth album, Let England Shake, is in essence a concept album, this time looking at the world outside of herself, vastly different from 2007s emotionally charged, piano-led White Chalk. She seeks to tackle the socio-political issues of her beloved England and the wider world that surrounds it. Recorded in the place of her upbringing, Dorset, Harvey returns to make the album in a cliff-top 19th century church overlooking the sea - to great effect. The sound is gothic and ever so unsettling to listen to, but in the best possible way. Harvey's voice is fragile and soaring, sincere and to the point, an almost soft soprano, breaking away from her usual deep, gravelly tones. Having collaborated with longtime 'musical soulmate' John Parish, Mick Harvey and producer Flood (who's also produced for U2, Depeche Mode) and on earlier albums, they're all back together for this stripped down, shift of direction album, their presence is felt throughout. Stories of the bleakness and despair of war abound, ranging from the Anzac trenches to World War One particularly. The songs are heavily laden with violent, bitter images, only with PJ singing about it, things don't actually seeem so awful. 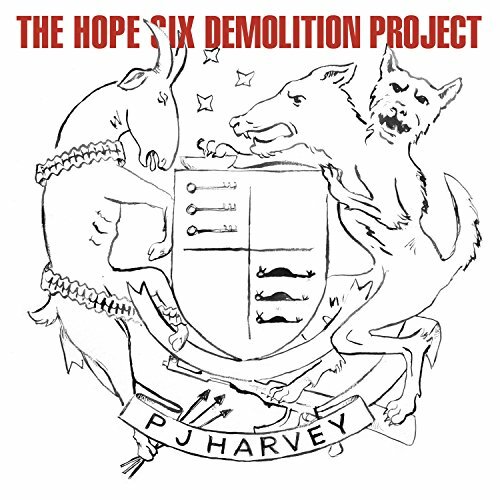 Never wanting any album to sound similar to the last, this time Harvey references the human disaster that resutls from war in the same way that Wilfred Owen dissects the acts of man in Dulce et Decorum est. It starts off powerfully enough with the title track, 'Let England Shake'. The poetic lyrics, "The West's asleep, let England shake/ Weighted down with silent dead," are sung musingly, and we know we're in for a tempestuous ride. A dark comical element is lent to the track The Words That Maketh Murder, a rather sarcastic reconstruction of Eddie Cochran ("What if I take my problem to the United Nations? "), leaving us wondering if only that were the answer. Creating a rich, layered sound, All and Everyone tells of a Grim Reaper figure, in the killing fields of Bolton's Ridge: "Death hung in the smoke and clung/ To 400 acres of useless beachfront/ A bank of red earth, dripping down death". Having had no direct experience of war, it feels as though Harvey is standing there taking notes; her poetry is truly astonishing. On Battleship Hill, her high registered voice has a Kate Bush like quality. Its theme is the transience of time, an accurate summation for the entire album, where no specific event or conflict is ever concluded, leaving just a desperate need to understand, which is "carried on the wind", "cruel nature" having won again. Things take a softer direction with 'In the Dark Places', a sad, rythmic story of cursed soldiers "in the fields and in the forest", the passing of time going by so tragically fast. On England, we're assured of Harvey's loyalty to her homeland, accompanied by Middle Eastern chants, as she "lives and dies through England" - you get the feeling she's not exaggerating, and the meaning here is literal. 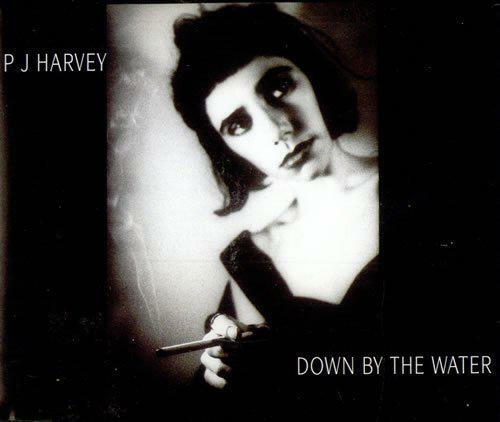 This is Harvey's best album since 2000's Stories from the City, Stories from the Sea, which broke her into mainstream consciousness. The album's very real theme of nationalism, not only England's, and the repercussions of imperialism felt around the world from Vietnam to France, is a form of history lesson on the political regimes and bloodshed which have gone before, except it is accompanied by guitars and emotional vocals. 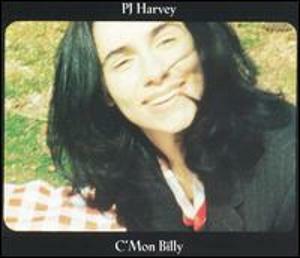 Harvey has effectively created her own genre of folk music; this album somehow manages to incorporate a variety of layered sounds, even punk, with the dirty sounding guitar on Bitter Branches. Witchy and tormenting, Let England Shake is the soundrtrack to war and its everlasting, far reaching effects on this earth. 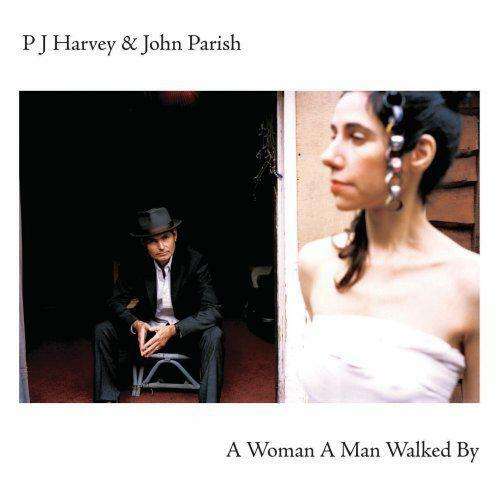 The incomparable John Peel once described PJ Harvey as "...crushed by the weight of her own songs and arrangements", which is absolutely felt on this album. This is Harvey's lament and love letter to her country, and long may she reign over it.